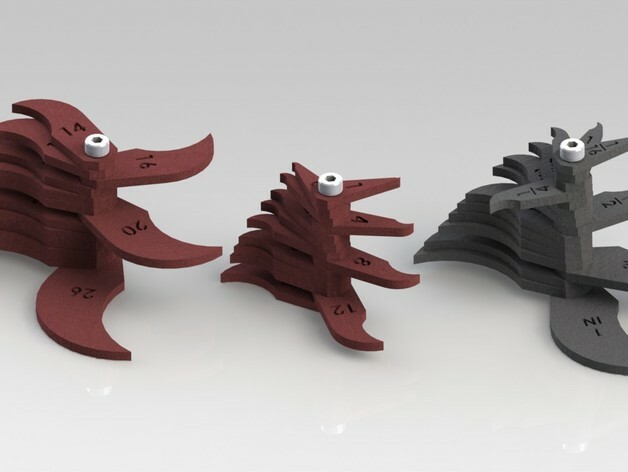 Does 3D printing have a use in the woodworkers workshop? I needed a 100mm PVC DWV to 2.5″ flex hose adapter, and if I bought one off the shelf (if I didn’t forget to buy one first! ), it wouldn’t’ have fit straight on the PVC without some sort of step down using good intentions or duct tape. Of the two major woodworking stores in Australia, only one has a tapered adapter and it wouldn’t be a great fit. This dust adapter is a perfect fit, and cost me 1/4 the price (before shipping!) of the commercial adapter. While print time was about three hours, it takes that long to get to the woodworking store and back, or if I was super lucky it might be delivered within 5 days of ordering. 3D print is ugly though, unless you do considerable finishing work to improve the texture and colouring. Even then, compared to the myriad of beauty found in wood, it can at best be painted. However, there are plenty of things that additive manufacturing can do that with wood is difficult or (practically) impossible. Through creation of jigs, it can even help with building furniture and general woodworking. Here is a (short) list of a few 3d printing projects I’ve found that could be useful in a workshop. Some the jury is still out on, but I’ll be trying a few of these over the next few months. 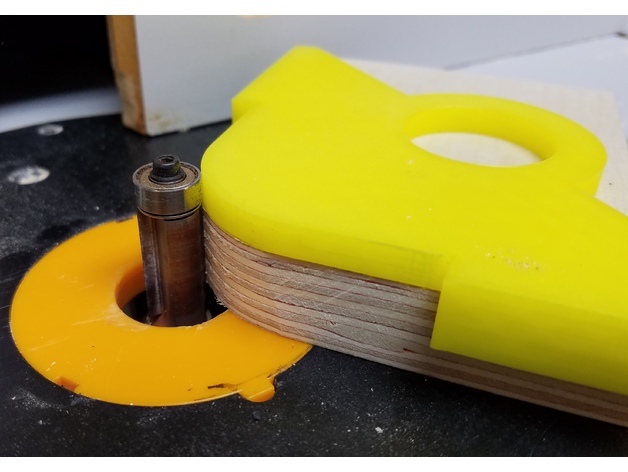 Center finders are nothing new, and they don’t take a great deal of time to make, but making one from wood is often cumbersome or clumsy to use because of the extra material required for wood not to be all wonky and fragile. Very useful for finding the center of an object to go on the lathe. Keeping with the theme of round things, corner radius jigs give you a consistent ’round over’ of the face, rather than edges. 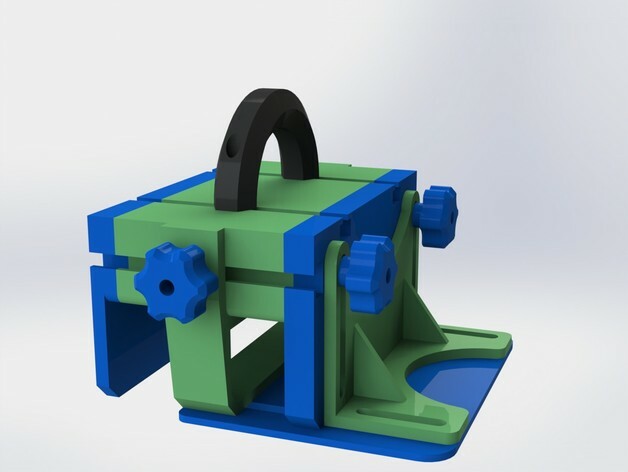 The flush trim bearing rides on the jig, giving you the exact radius, and can just be held on with either double sided tape or just with finger pressure. Woodpeckers sell a superior version of this in a wide variety of sizes out of aluminium… or at least they did. Its a retired OneTime Tool, so you can’t buy it even if you wanted to pay for it. 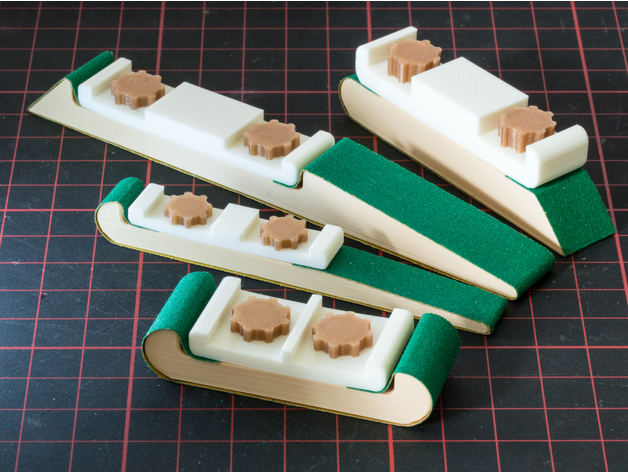 These look interesting, but there are honestly more sanding stick type configs than you could ever use to 3D print. These look interesting shaped, and easy to use, though there are so many different types to consider. Hand sanding is a sucky job, and can be painful on hands to get into nooks, so these have a lot of appeal, particularly if you can get strips the same width. Okay so this is obviously a Microjig Grr-ripper clone. No idea if it’d work comparably as I don’t have one, but it’s interesting none the less. What would be more interesting would be iterating on it rather than a direct clone – perhaps the best router push block is yet to be invented. I don’t have any intentions of printing this one.